The Fuel Cell Technology Handbook is now here to help, providing the first comprehensive treatment of both the technical and commercial aspects of high and low temperature fuel cells, fuel cell systems, fuel cell catalysis, and fuel generation. 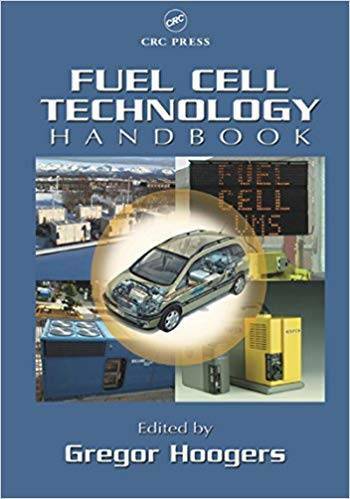 The first part of the book addresses the principles of fuel cell technology and summarizes the main concepts, developments, and remaining technical problems, particularly in fueling. The second part explores applications in automotive, stationary, and portable power generation technologies. It also provides an expert's look at future developments in both the technology and its applications. With chapters contributed by experts working in academic and industrial R&D, this handbook forms a reliable, authoritative basis for understanding fuel cell technology, applications, and commercial realities. Whether you're developing fuel cell components, designing a fuel cell system, or just interested in the viability of an application, the Fuel Cell Technology Handbook is the best place to start.